Thank you to everyone who supported the Christmas Cash Draw! The traditional Christmas Cash Draw is back but we have increased the prizes to make it the biggest ever! The draw will take place on 29th December, following the home match with Altrincham in the clubhouse. Tickets are available to purchase or collect from the desk on matchdays or on the coaches to away games, each member will also receive a couple of books of tickets through the post or at the home games which we would be grateful for you to sell on to your friends, family and work colleagues. The draw will commence at 6pm. There are three prizes on offer with tickets priced at £1 each. 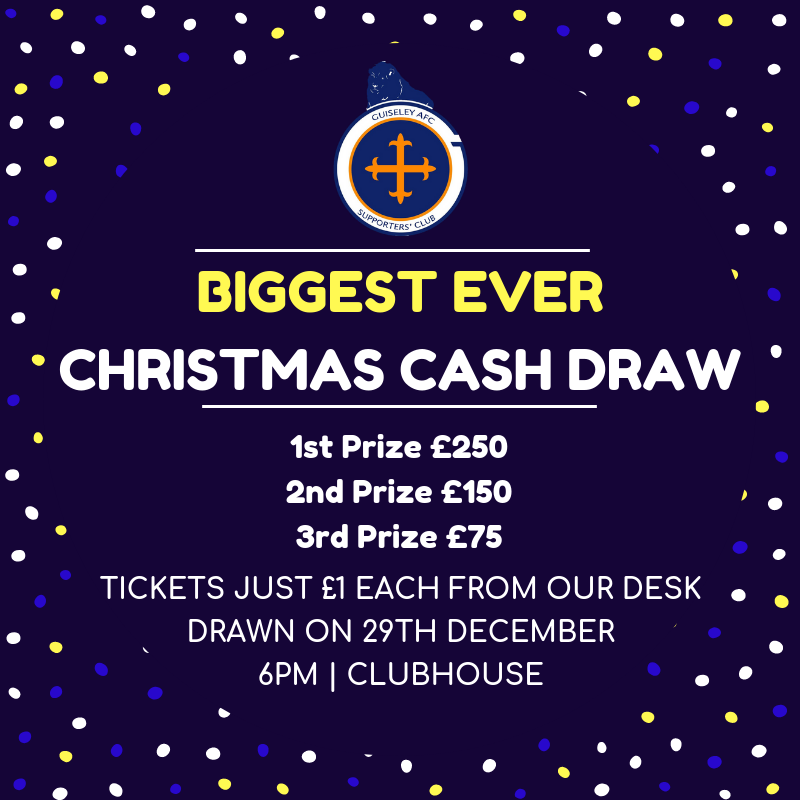 By taking part in the raffle you are supporting the club and giving yourself a chance of winning some extra spending money for the post Christmas sales! All sold tickets must be returned by 4pm in the clubhouse on 29th December. You will be giving your yourself, friends, family and work colleagues a chance of winning the prize money and supporting your club at the same time! Just head to the desk for some extra books of tickets.